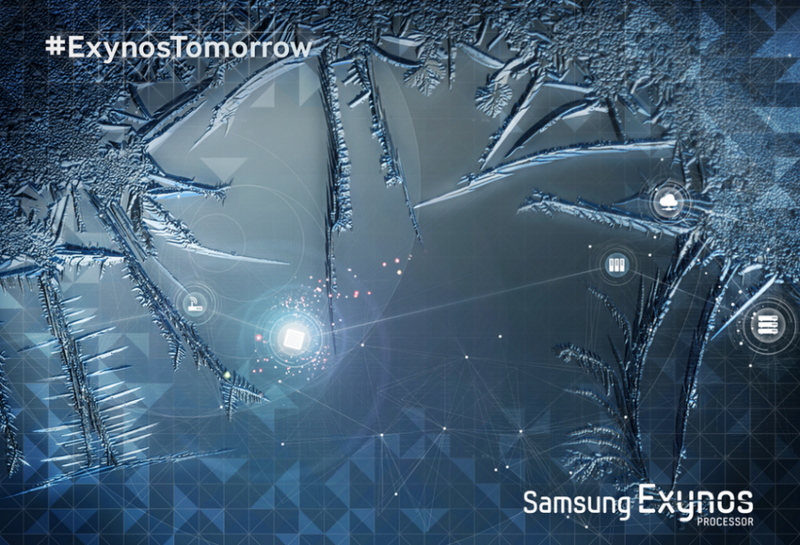 Samsung took to Twitter today, looking to tease an upcoming processor for its Exynos lineup. From what speculation has been floating around on the web, an announcement for the Exynos 5433 seems most likely, which is reported to be the chipset that will power the upcoming Galaxy Note 4. 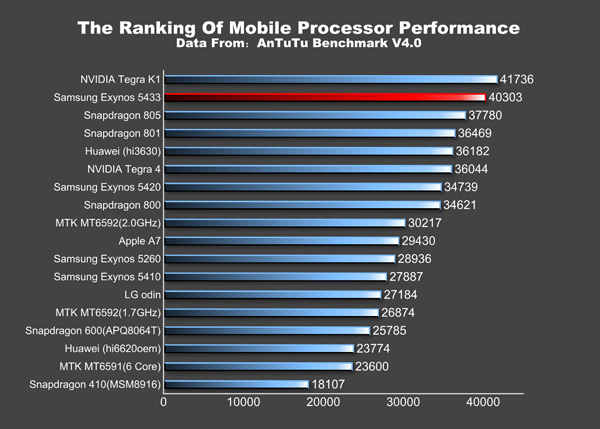 Appearing in a few benchmarks, the Exynos 5433 is on the same level as the Tegra K1 processor from NVIDIA, scoring much higher in tests than the Snapdragon 805. However, it is said that at the time of testing, the Exynos 5433 was being ran on a device with a 2560 x 1440 resolution, while the Tegra K1 was on a device with a 1080p display. These details can greatly skew benchmark results, so we just have to wait and see what Samsung plans to unveil. The Galaxy Note line is always one to be excited about, as Samsung usually goes all out in terms of specifications. We should expect to see a QHD display, 3GB+ of RAM, a massive rear-facing camera sensor, and hopefully an updated body design from the team at Samsung. Please, Sammy, no faux leather backside this time around. Anything on your list as a “must have” for the Galaxy Note 4?